By now you've sent us an email requesting an appointment and we've responded with intake forms which you've filled out. If you didn't receive them you can download them here. 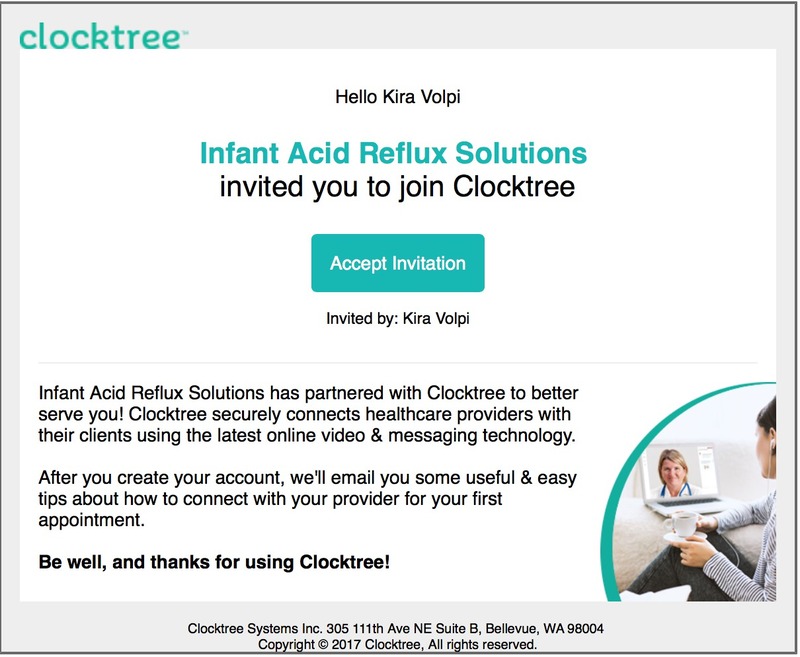 You have also receive an email from Clocktree inviting you to set up an account. It will look like the image below. Follow that link and the instructions below to create your account and upload forms. Accept the invitation, create and account and a profile. Shortly after completing the profile you will get a welcome email that looks like this. It tells a little bit about the interface, instructs you to use Chrome and some helpful information about how to use the interface. Please do not download or use the app. It has shown to cause a lot of connectivity issues. Once you're logged in you will find your profile page to look something like this. You will want to go to the bottom portion of the page where it says "SEND INTAKE FORMS". 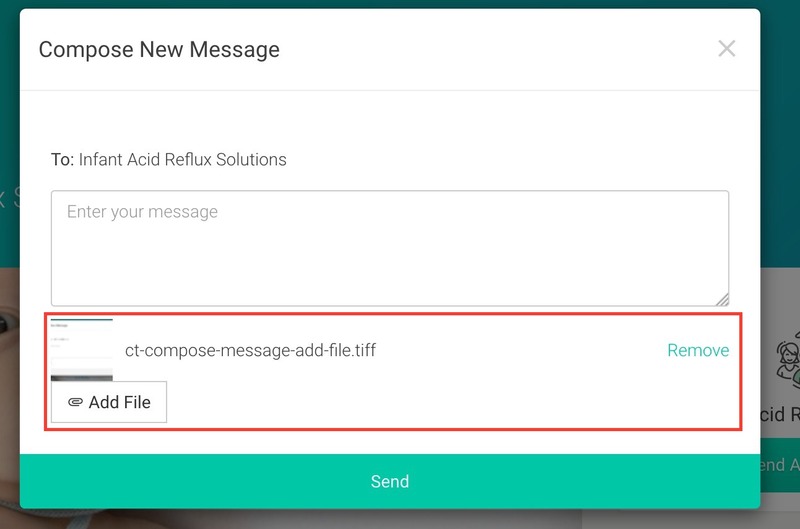 Click on the icon to the right that says "SEND MESSAGE". A pop up screen will appear that will look like this. At the bottom left side of the pop up window you'll see "ADD FILE". 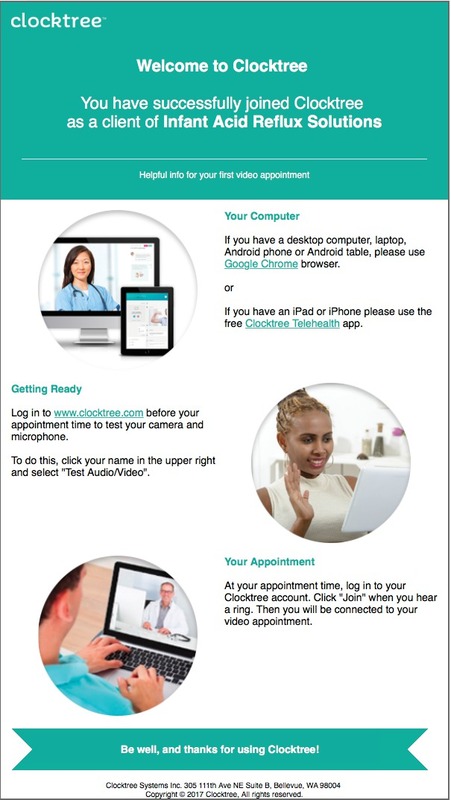 Click on that and upload your Patient Intake Forms you filled out and scanned to your device. You'll be able to see the file has been uploaded on the bottom of the popup window. Now you can just click send, or type a message in the message area if there's something you'd like us to know or you can just say HI! 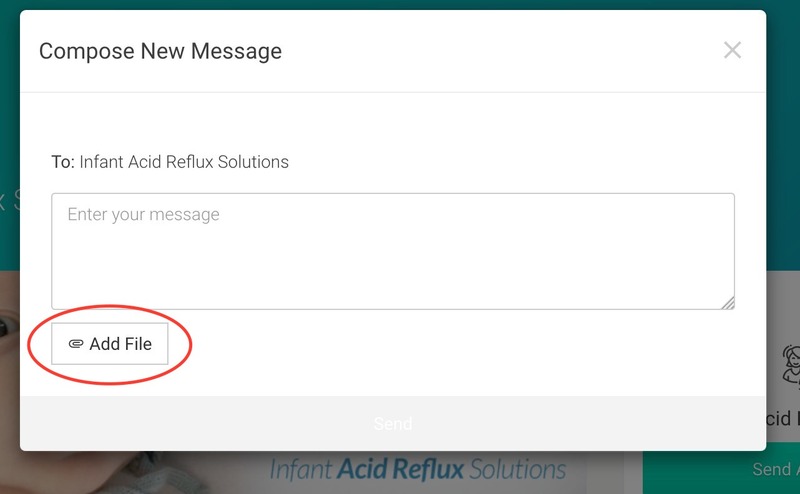 The screen will redirect to your message center and will show your message history here. 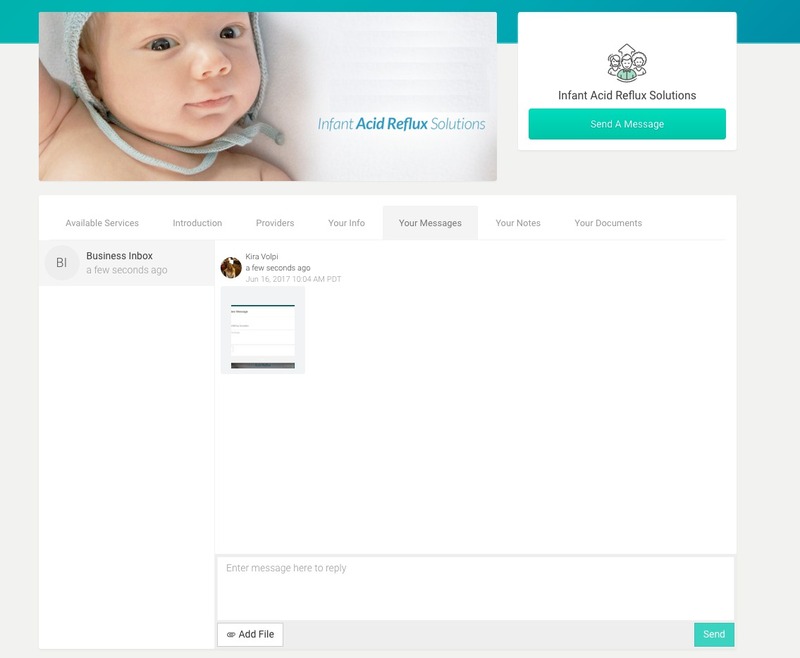 You can return here to send secure HIPAA compliant messages and receive responses. 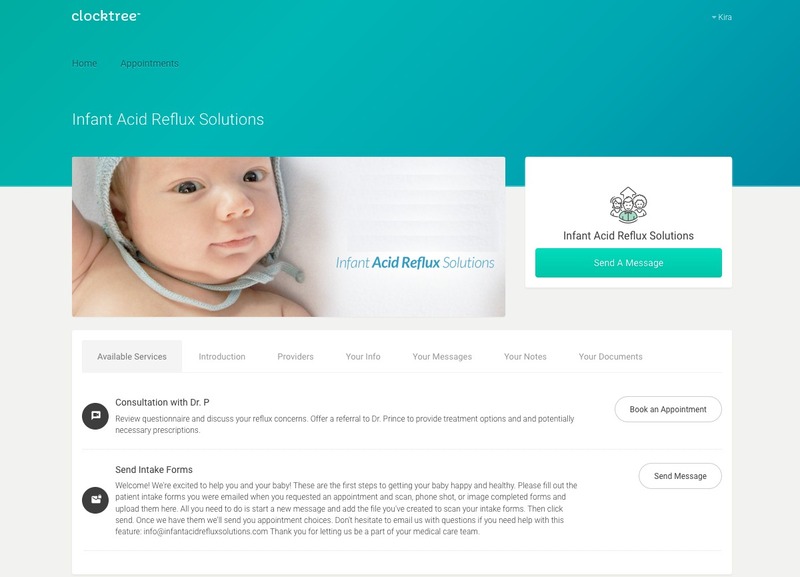 After we receive your intake forms we'll send you an email with appointment options. When you find a time that works for you, we'll add you to the schedule. You'll get another email with your appointment confirmation. Go here now to follow appointment instructions. All information sent through the HIPAA compliant site will saved for your next consultation. If you received a request to fill out a second questionnaire it is best that you complete that before your next consultation and have it with you so the doctor can review any changes or improvements.